The RWB Porsche Tokyo meet takes place annually and draws crowds of car enthusiasts, who marvel over Nakai-San’s amazing creations. 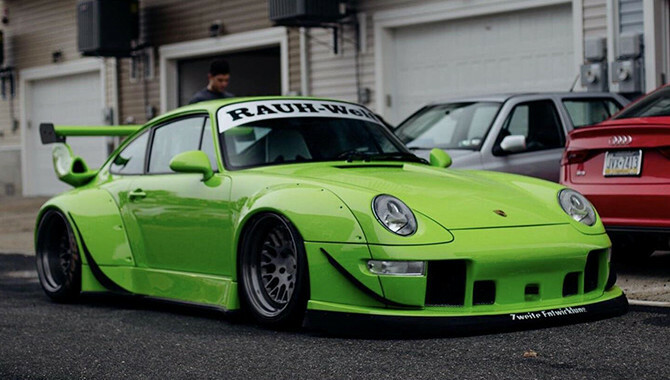 For those of you who are unfamiliar with Rauh-Welt Begriff, it is a brand known for its outrageously wide body kits fitted to the ever popular Porsche silhouette. Apart from the bodywork, Nakai-San also pays attention to the suspension, engine and transmission modifications. Making the cars performance suit its outer appearance. 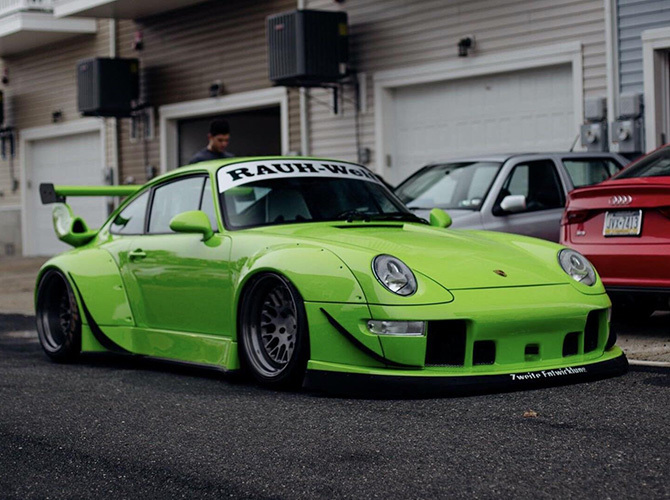 Those massive flares and wing can’t be mistaken for anything else but an RWB Porsche.